Are you the world's best birder? With this design, you can certainly profess to be so. If you're a true birding maestro, this is for More... you. It's not like you're comparing yourself to Gandhi, right? 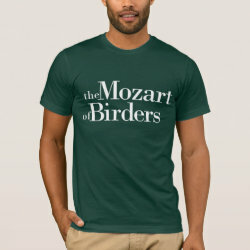 It's more like you're the Mozart of Birding. Now go beat that year record!